It's been said, there is a tool for every job and that there is no problem out there too big that cannot be fixed without the proper application of the proper tool. But sometimes problems are too complex for just one tool, like when you are the Caped Crusader fighting a never-ending war against crime and villainy you need an entire arsenal and where else would you find it, but in your trusted Utility Belt. So let’s take a closer look at them and the Utility Belt. 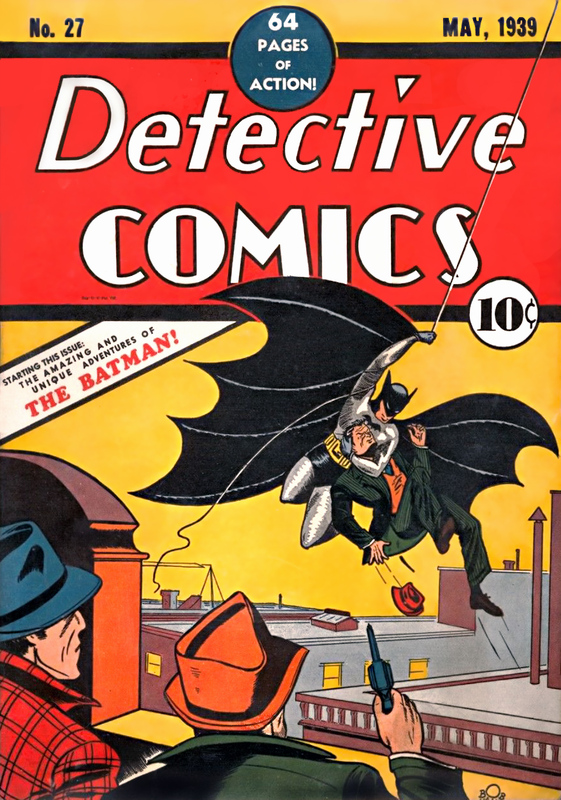 The utility belt is easily one of the oldest and most recognisable pieces of Batman equipment which has been with the hero since day one when he first premiered in the pages of Detective Comics number 27 all the way back in September 1939. The belt is used for a lot more than just keeping up the Dark Knight pants, it also houses all of his different crime fighting devices. 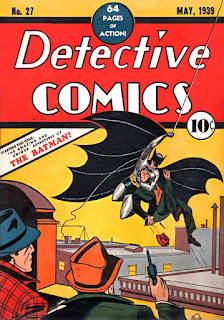 While no one is exactly 100% certain of its contents, most of the time the Caped Crusader tends to change his load out to better fit his current situation, the belt is usually stocked with Batarangs and hold his gas-powered grappling gun. While perhaps unremarkable looking at first glance the belt has more in common with a "D&D Bag of Holding" and capable of carrying whatever the writer's feel the Dark Knight should need and much, much more. 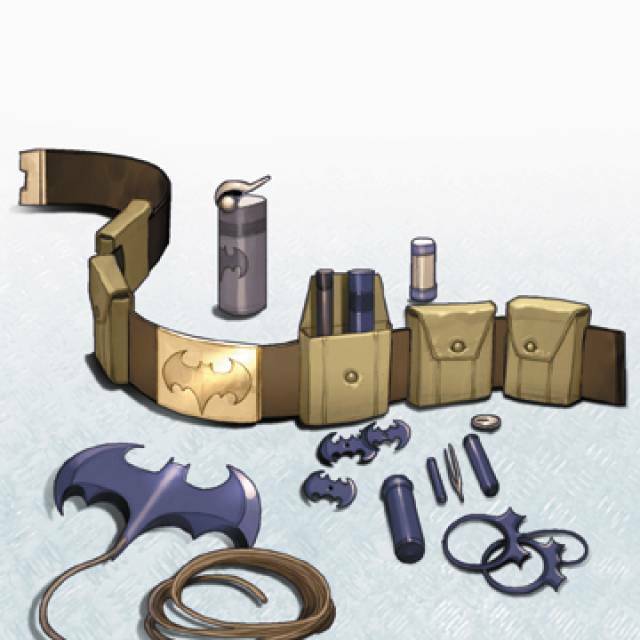 The belt has under gone a number of style changes over the years from just a simple yellow line around the Caped Crusader waist to be a much more bulky commando style set of pouches like in the pages of "Batman: Year One" to being something more in line with a soldier tactical wear like today. As a fighter Batman's Utility Belt comes complete with all manner of weapons including Batdarts, Grappling Hook, Thermite Grenades, Smoke Grenades and Pellets (for confusing enemies or for making a quick escape) and sometimes even a lone marble for, well, I'm not exactly sure what that's for but when you're the Dark Knight than you could always find use for a single marble. Now in his role as a detective and keeping the peace, the Gotham Knight also uses his Utility Belt to help carry around all his CSI tech including but not limited to things like evidence bags, fingerprint dusting kit, BatTracers and sometimes even BatCuffs and those are just the obvious tools of the crime fighting trade. 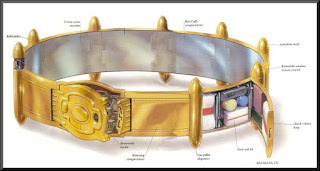 What about some of the more outlandish things that Batman has ever kept in his belt over the years, like some Kryptonite for battling rouge Kryptonians, silver nitrate, anti-fire foam and everyone's favourite Adam West edition Bat-Shark-Repellent, yes the Caped Crusader is indeed always prepared, even for sharks. Now over the course of his 75 years, the Dark Knights foes have always been very drawn to his Utility Belt as a symbol of the Dark Knights strength. To deter thieves Caped Crusader has in place all manner of security measures including special lock that only he can open as well as powerful stun gases. Writers also use this is a chance to ratchet up tension, oh no Batman lost his utility belt how is he possibly going to get out of this one. The Utility Belt has become such an important piece of the Gotham Knight's crusade on crime and villainy that all of his sidekick and affiliated Bat Family characters have their own variation of the belt. It's like a membership card or something. You become a Robin, you get a Utility Belt. 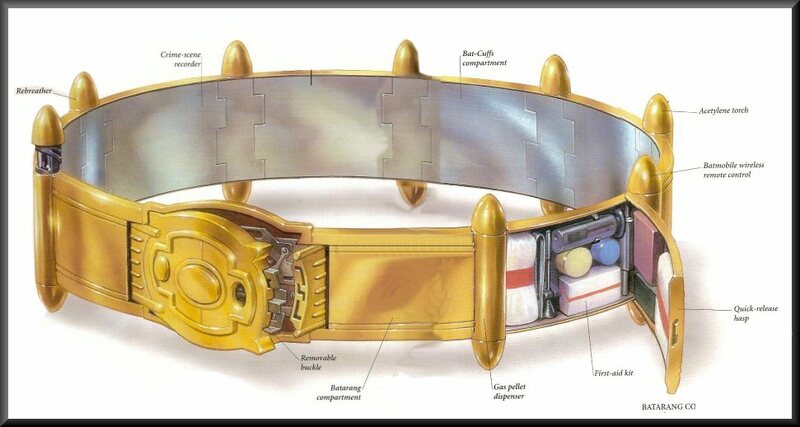 And that everyone is a little primer on probably what is the most Super Accessory out there in the DC Universe. Leave a comment below of what you would have in your Bat-Utility Belt if you had one.